With the start of the year and all the associated resolutions and renewal, I thought it might be interesting to try a challenge. I'm calling it the "Diamond Tongues" challenge because for 30 days we're going to speak life, strength, positivity and purpose into the ears of our loved ones so they start to feel as strong, as beautiful and as precious as diamonds. 1. speak no evil to or of your chosen loved one (child, spouse, parent, sibling etc) - that means no grumbling or gossiping about them, no nagging etc. 2. 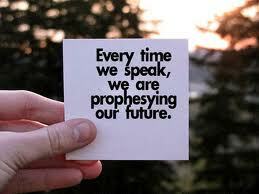 As often as you can, take the opportunity to say something positive, encouraging or beautiful to your loved one. 4. Do NOT tell them you are doing this challenge! Invite your BFFs to join in, I'll post updates of my progress on this page, please feel free to do the same. Who's up for a challenge? Can you stay positive for 30 days? A bit late to the game, but I'm joining. I've already been putting this into practise although I failed a couple of days ago...Im back at it...with God's grace! 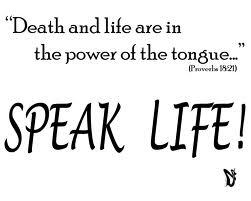 No more negative speaking,my tongue is for blessing not cursing.